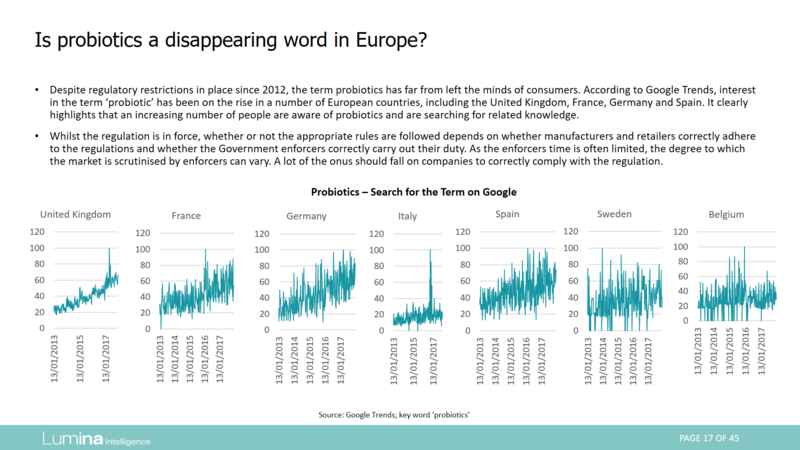 This series of reports examine regulation for the use of the terms probiotics in Europe, the Americas, Asia Pacific and Africa. 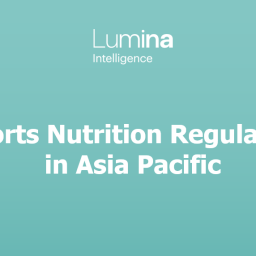 This series of reports examines regulation for the use of the terms probiotics in Europe, the Americas, Asia Pacific and Africa. Regulatory changes may be a barrier to innovation in the EU probiotic industry. Does the term ‘probiotic’ still exist among consumers? 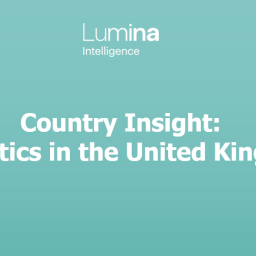 This report looks at the regulation across Europe and assesses whether a lack of probiotic claims has harmed the industry and how other terms including bacteria, bio and strain-specific terms have become common. The report covers probiotics in food, supplements, medical foods and pharmaceuticals. 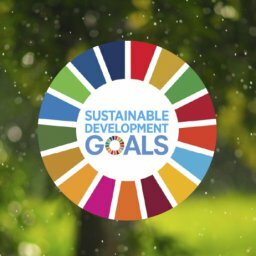 In the EU, there is no EU-wide legal framework defining probiotic bacteria or the food category “probiotics”. 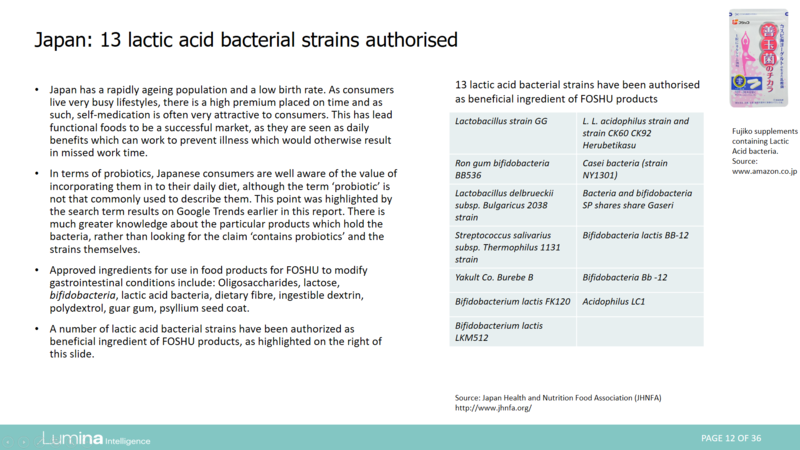 In addition, there is no harmonised EU legal framework establishing the conditions for a strain to be considered as probiotic or a positive list of individual strains which have a probiotic status. 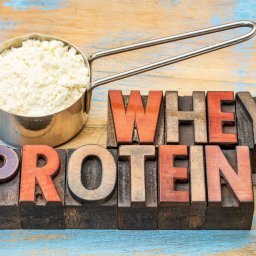 Within Europe there is no consistent definition of the necessary amount of bacteria present in a food or supplement to have a beneficial effect. In fact, there are at least three different views on the necessary CFU from different bodies. The EU is now considered to have one of the most, if not the most, strict health claims regulation globally. Since its introduction in 2012, the EC has authorised only a small fraction of the health claims submitted to it, with a number of categories seeing no authorised claims at all. Where has this left companies? The report covers the regulatory landscape for probiotics in the Americas, where the US leads. Companies target a range of health claims as consumers awareness is on the rise. In South America the focus is on digestive health, where the main carrier for probiotics is food. There is a call to tighten regulation for claims on supplements in the US; but, in South America there is a bid to boost the number of allowed claims to grow the market. The US is the most relaxed market for health claims in the Americas. In the US a probiotic can be categorized by its intended use, as either a drug or biological product, as a dietary supplement or as a food or food ingredient. There are also a number of self-regulatory initiatives. 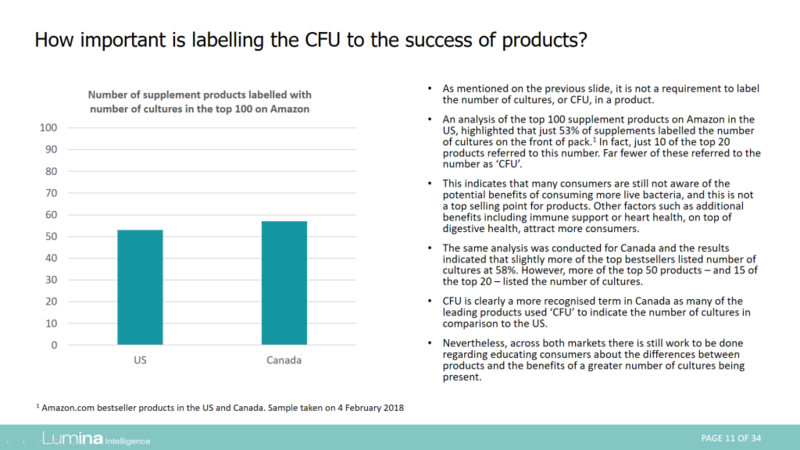 In Canada probiotics can either be regulated under the food regulations or as natural health products. In Brazil, the regulatory agency ANVISA does not allow manufacturers to make claims on packaging that the probiotic strains used in dietary supplements are good for the intestinal health unless it is scientifically proven. 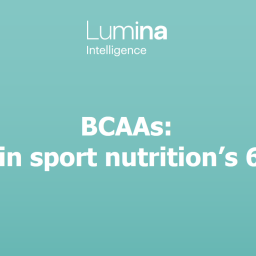 Therefore, it is very common for companies to market supplements as simply improving digestive health rather than focusing on the specific strains. 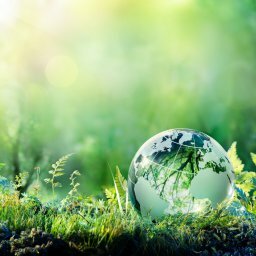 Whilst Mexico does not currently have any approved claim, a proposal under the draft NOM-086, published in 2015, has listed some non-strain-specific and strain-specific claims. This will allow health claims related to probiotics to be used on food and supplements for the first time in the country. 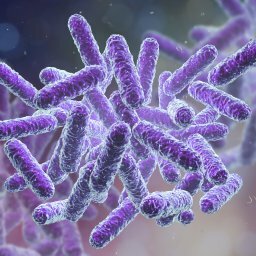 Where does that leave probiotics in pharmaceuticals? 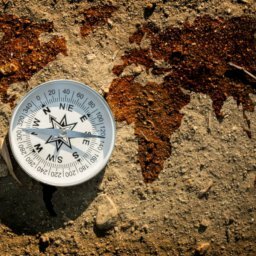 Asia Pacific and Africa comprises both mature and established markets with plenty of opportunity. As consumer interest in countries such as China grows, regulations are tightening to ensure health claims are scientifically sound. 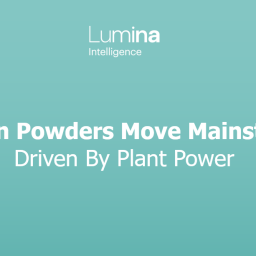 Elsewhere, long-standing regulations such as FOSHU and the health claims used on supplements in Australia are evolving. 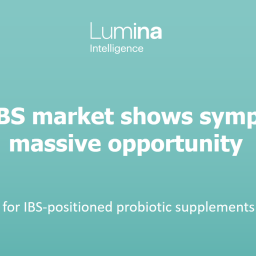 The market for probiotic pharmaceuticals remains small but there is potential for growth. 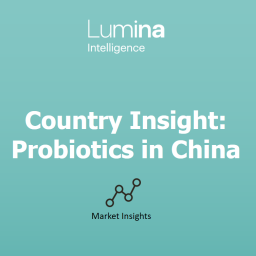 Despite regulatory restrictions becoming more stringent in Asia Pacific, with fewer claims being allowed for probiotic products across all countries, interest from consumers is on the rise. There are limited claims for functional food in South Africa’s young market with the claim “probiotic” only permitted for four species of probiotic bacteria. 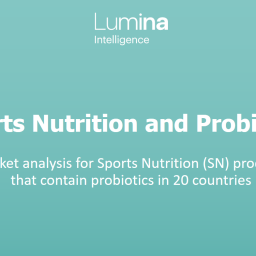 These reports are available to subscribers of Lumina Intelligence Probiotics. 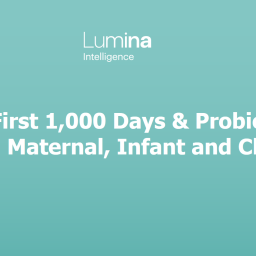 To hear more about Lumina Intelligence Probiotics, and for subscription enquiries, please contact our team on +44(0)1293 846 699 or by email at info@lumina-intelligence.com. 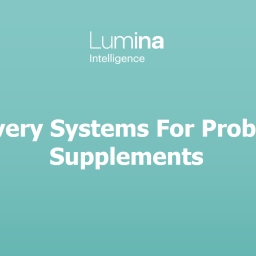 To request a demonstration of Lumina Intelligence Probiotics, please fill out a request a demo form.